After years of legal maneuvering and court proceedings, the plaintiffs who filed product liability lawsuits against Zimmer Biomet regarding the defendant’s NexGen knee implant have agreed to a settlement arrangement. The news will likely be a huge relief to these plaintiffs, who have been waiting years for compensation for their injuries. At its peak, the multidistrict litigation (MDL) centralized more than 1,300 Zimmer NexGen knee lawsuits. As of the news of the settlement deal, there were about 300 cases still pending in the federal court. The defendant’s knee implant was first introduced to the medical marketplace in 1995, when it gained FDA approval. Many of its components, however, weren’t approved until later, using the so-called fast track FDA approval program, which doesn’t require extensive safety trials. 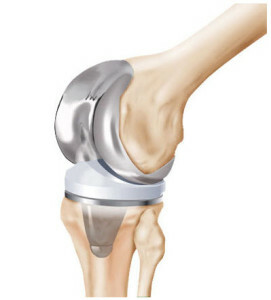 Like other knee implants, Zimmer’s device is intended to replace natural joints that had sustained severe damage due to disease or physical trauma. Often, this is due to osteoarthritis. But many patients who received Zimmer NexGen knees found that they need additional surgeries within a few short years. They alleged that the devices were defectively designed and manufactured, and were prone to premature failure and loosening. These complications caused pain, difficulty walking, and similar localized symptoms. Many patients had to undergo revision surgeries to remove the allegedly defective implants and replace them. As the numbers of product liability plaintiffs grew, the Judicial Panel on Multidistrict Litigation (JPML) centralized all of the federal NexGen cases into an MDL. This occurred in August of 2011. All plaintiffs who have their lawsuits joined to an MDL retain their rights to an individual trial by jury. In the event that any plaintiff’s lawsuit is not settled by this recent agreement, or if any new NexGen lawsuits are filed, these cases will be required to have case-specific experts testify at their trials. This is as per Judge Pallmeyer’s recent court ruling. The plaintiffs affected by the recent Zimmer knee settlement deal have been waiting years to see their cases resolve. Now, they can finally look forward to receiving compensation for their medical expenses, lost wages, pain and suffering, and emotional anguish. They won’t receive a check right away, however. First, the court must issue an order of settlement, and then all of the parties involved must complete the necessary paperwork, including the release. The release is the document that establishes the terms of the settlement. Sometimes, not all of the lawyers agree to the terms as they are written, and the judge may need to issue a ruling on it. Once the release has been signed, it’s not possible to change the terms. After the paperwork has been completed and any liens are satisfied, the plaintiffs will receive their checks.